The Bear’s Den Club is the latest of the Reunion identity communities built on the 17th and 18th holes of the Jack Nicklaus signature golf course at Reunion resort Orlando. 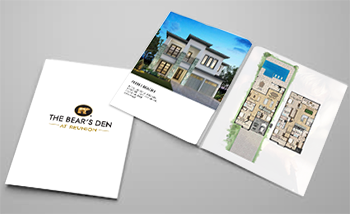 The Bear’s Den Club offers semi-custom and custom home design product that can be created to the specification of an individual owner to create a personal identity home in one of the great family vacation resorts in the world. Buyers can purchase either a single 50′ through 75′ lot or has the option to combine lots if a larger home is preferred. Lot owners can chose from any qualified builder and is not restricted to Reunion approved builders. The 18th at Bear’s Den offers a set of six semi-custom homes available for those who do not wish to go through a full custom build program in choices of 5 through 8 bedroom floor plans amounting to five great floor plans. Prices start in the low 800’s for the 5 bedroom Monticito to the 8 bedroom Pine Valley at a little over one million dollars. The 17th hole offers a similar spread of options as the 18th but a reduced size and offers five floor plans beginning with the Arlington at just over 500k to the Santa Barbra at just over $600k. All homes come nicely appointed with pool included. The Bear’s Den is zoned for short term rental so a luxury executive golf home short term rental property is possible and is sure to be a solid revenue producer if marketed in conjunction with the Nicklaus brand and the Reunions reputation and facilities. Whether your goal is a unique second or primary residence or a money spinning vacation home the Bear’s Den offers a unique opportunity to scale up into the resorts primary location. 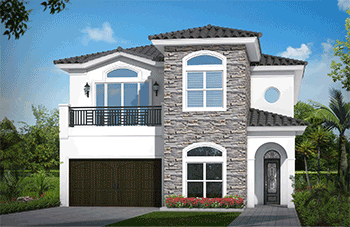 Pricing will vary depending on the lot price, floor plan and custom features. Lots start in the high 100’s and floor plans start in the low 500’s. Contact us for a detailed breakdown of available lots, floor plans and pricing at The Bears Den Club. Our system will automatically generate a download link and email it to you immediately. Please also send me an updated price list and available homes.